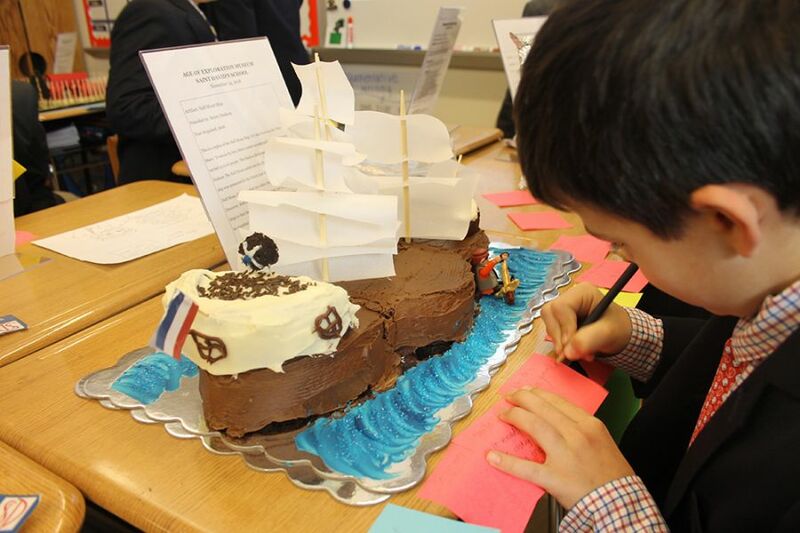 During November, fifth graders learned about the "Age of Exploration" in their history classes. In preparation for "Saint David's Age of Exploration Museum," the boys were assigned a specific explorer to research. They created artifacts that represented something their explorer would have used or found while exploring. The artifacts were displayed alongside museum labels crafted by the fifth grade historians. As a culminating activity, the boys completed a gallery walk of both classrooms. This activity provided an opportunity for the entire grade to view all of the artifacts and learn about the lives of various explorers.